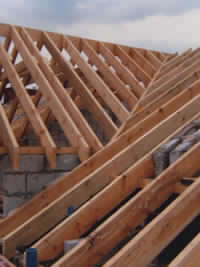 North West Roofing supplies offers Velux windows in Brampton of an exceptional quality at affordable prices. Our prestigious Velux windows are essential for light and fresh air. We are proud to have been made an official Velux windows supplier. To find out more about our range of Velux windows, pay us a visit at our Carlisle depot. You’ll find us at Unit 10a Brunel Way, Durranhill Industrial Estate, Duranhill. They have a number of different styles. There is a centre pivot window which can be installed lower in the roof and depending on the situation will allow a view of the outdoors. This is especially useful in a room with a low ceiling. They are available in three different finishes, white painted windows, white polyurethane or pine. They come in manual or automated controls and double or triple glazing for excellent energy efficiency. When your house is dark and dank in Brampton, Velux windows can let in sunlight and air and transform your home. The most energy efficient skylight is the solar powered unit. This produces its own power via a solar cell. It comes with a control pad with a touch screen to allow fresh air at the touch of a button. This also has the wonderful automatic rain sensor so you are sure to never have an accident through leaving the window ajar during a storm. As it senses the rain it will automatically close the window. Most of the widows are available in a noise reduction model and some have an opaque glass finish. Skylight products can easily be fitted with blinds if they are in danger of exposing parts of your home to onlookers. 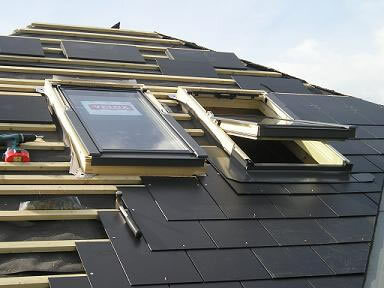 Our Velux windows in Brampton are very useful and affordable. 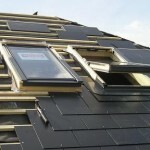 Contact North West Roofing Supplies today and have a look at the range of different Velux windows we have. Velux has been a market leader for over 75 years and offer a 10 year guarantee on all roof windows. We have a wide range of sizes, control options and finishes. There is a wide choice to suit any home. You home will come alive with more daylight flooding through it. Dark rooms become a thing of the past and there is no need for artificial light usage during the day.